This is my second post for today - click here to see the first. Hello everyone. today I have my first card as a guest designer for Newtons Nook! I'm super excited to be guest designing for them this month and can't wait to show the cards I've made! 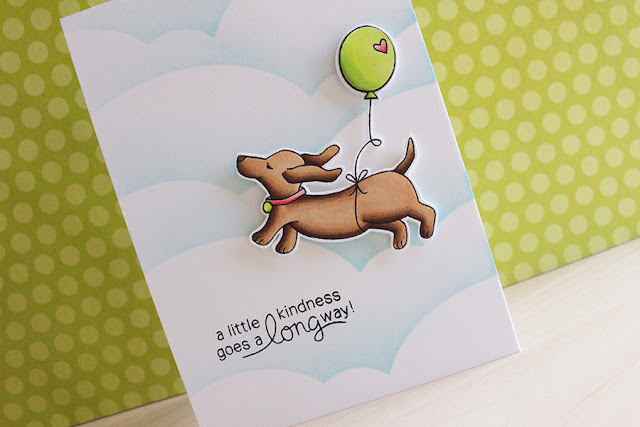 For my first card this month I'm using the Delightful Doxies stamp set and creating a fun sky themed card. Make sure you head over to the blog today to see how I made this card. Thank you for the wonderful card today Eloise! I love the coloring on the pup! It has so much dimension! And the background is amazing! Thank you for being our guest this month!